Was a Korean pop/Hip-Hop multinational four-member girl group that officially debuted in August 2012 under GnG Production, and unofficially disbanded in 2015. They unofficially debuted three months earlier singing the song "Polaris", produced for/on the TV show Music And Lyrics. The group name stands for "Tiny Giants". 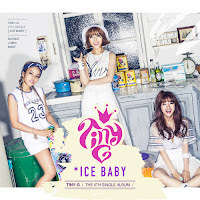 In June of 2014 it was revealed that Myeong Ji was leaving the group to focus on acting, and the group would remain a trio. 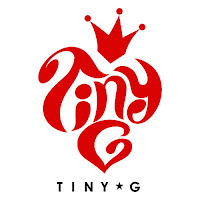 On February 12, 2015, GNG Production announced that Tiny-G was going on hiatus as the members explored individual opportunities. Soon afterwards it was reported by the media that the group had disbanded, although the company denied this and claimed the group was simply on an indefinite hiatus. On April 7, 2016, it was revealed that Mint was under a new label and debuted as a solo artist on April 14, 2016.